Yen-Lu was formerly a Distinguished Technologist at Apple Computer. He led the development of several award-winning technology products including Best-of-Best Product Award in Comdex Asia for Apple’s Chinese Dictation Kit. Yen-Lu founded AsiaWorks, and was involved in a turnaround with WholeTree.com, a Nasdaq OTC listed digital globalization company. He served as venture partner to Venture TDF, a Singapore venture capital firm with a global footprint, and venture advisor to S.AI.L Port Asia Pacific, regional incubation center for voice and language technologies. 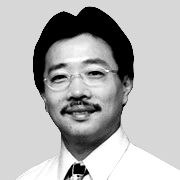 He was an adjunct professor to NUS Entrepreneurship Center, and served as Executive Advisor to NUS Enterprise and SMU Incubators, and a Mentor & Friend to Insead Business School. He regularly advises the government on entrepreneurship and innovation, and is invited to speak on these issues internationally. Yen-Lu holds a personal interest in social entrepreneurship and in applying sound business practices to drive purposeful work for worthy social causes. He is the co-founder and president of WholeTree Foundation, a family foundation focused on youth wellness, particularly in health and education. Yen-Lu is a holder of 6 international patents and graduated with MS and BS degrees in electrical engineering from MIT.